Toasters are easily one of the most utilized tools in the kitchen. From serving up Sunday morning sides of toast to making a makeshift grilled cheese sandwich, the uses for a toaster are virtually limitless. However, if you are in the market for a new toaster because your trusty old one finally gave out on you or if perhaps you are just looking for an upgrade due to keeping up with the needs of your growing family, you may feel a bit at odds when it comes to the unlimited toaster options available. There are a ton of incredibly versatile, cost effective and highly reliable toasters available on the market. And if you are seeking the best toasters for your needs, the easiest way to get started is to simply decide what you’d like to use your new toaster for the most. This will help you to narrow down your choice options to what will be the best for you. Below our reviews you will find important things to consider and criteria we used to select the 10 best toasters for this year. The Hamilton Beach Keep Warm Toaster is a super affordable 2-slice toaster of which is the perfect solution for the on the go person, especially busy parents! One of the coolest features about this toaster is the fact that it sets off a small beep when your food is ready and will proceed to keep it warm for you without overheating for up to 3 minutes, so you can keep getting yourself and your family ready and out the door during super busy mornings. Following the 3 minute duration, it will proceed to shut itself off for safety purposes. The toaster also has 2 extra-wide slots so that you can take advantage of perfectly toasting your morning bagel, English muffin or thicker slices of bread. It even features additional settings such as Bagel, Defrost, and Cancel buttons and all of them light up nicely for easy viewing purposes. There is also the great feature of the Toast Shade Selector, which offers 7 various settings, to better ensure that you can get your bread just as crispy as you prefer them to be. Not to mention the fact that it also provides cool-touch walls, stainless steel sides, and an elevated toast-boost to guarantee that your fingers will not ever get burned. The top of this one still does get pretty hot so always use caution. The only notable issue with this toaster, though, is the fact that the electrical cord is attached at the front of the toaster and in turn comes out from the bottom of it, and it is not a very long cord. This most definitely means that you may have to work closer to the walls or having it faced in an odd direction depending on where the power outlets are located in your kitchen. The good news about the cord though is the fact that it does have the capability to wrap underneath of the toaster itself which is incredibly convenient for storage and just keeping it out of the way. That being said, if the only main issue with a toaster being the cord, especially with such a great price tag, you really can’t go wrong with this toaster. One of the best perks about Black and Decker’s brand is the fact that they are well regarded as being super reliable appliances that are also incredibly affordable. And that is precisely what you will receive with the Black and Decker TR1278B 2-Slice Toaster. Some of the awesome features include the shade selector to ensure that your toast comes out exactly how you like it, cancel controls, bagel settings, frozen, and also the extra-wide guides that self-adjust. Combine these features and you will find that your bread will pop up exactly the way that you like them each and every time! And best of all the crumb tray drops down to make cleaning a breeze! Interestingly, this one got some pretty negative reviews, however, upon personal testing, the overall performance can be noted to perform above and beyond expectation. There were quite a few critical reviews that stated that the cord extends from the front and not the back. However, that is not quite an accurate statement as the toaster actually features a wrap-around device for the cord on the bottom of the toaster. The crumb tray was also an issue that displeased some people, however, it was created to open by simply sliding the tray forward, then you just push it back to close, it works quite well and has not been noted to open up on its own. With regards to toasting evenly, it works perfectly as it should. The toaster also feels incredibly light which is super convenient if you have to move or store it. And finally, the toaster features a handy cancel button that stops toasting and ejects your food. The handle itself was not designed to eject your food, which may actually be one of the issues that many were having about their levers breaking, they may have improperly used it. Overall, it can easily be said that there nothing wrong with this toaster free of perhaps a lack of simply understanding and trusting it to do its job. It is a simple toaster that is perfect in pricing as well. This super stylish stainless 4-Slice Countdown Metal Toaster by Cuisinart ranks quite high on our best toasters list and appears to take toasting to the next level. With several different controls, you can defrost waffles prior to toasting, reheat your toast without browning it more than you intend to and also reduce the heat on the uncut side of your bagels or English muffins. In fact, there are over seven different browning settings as well as incredibly convenient self-adjusting slots which of course mean virtually any size of bread from thin to thick are expected to be evenly browned. And with the help of the LCD countdown toasting-time bar display you can easily make sure that you do not overcook your bread items. There have been several similar complaints about this toaster that state that after several uses, the lever simply stops working. There have also been some issues about the fact that toast and smaller bread items like English muffins do not eject very high and have to be reached in for, which of course is most definitely a drawback. And there have been complaints that there is a high pitch sound that the toaster emits once your bread has been toasted and ejected. Though some added that the sound really was not that bad, to others it was plain and simply unbearable. However, we find this option quite a good and quality one and did not identify any issues with it while testing it for the purpose of this review. Beautifully finished with a brushed and chrome stainless steel, the wonderfully high-quality KRUPS KH732D50 Breakfast Set 2-Slot Toaster not only looks stunning on your counter, it is also has been noted to be fully capable of toasting any sort of bread literally to perfection. This toaster also offers extra-large (1.5” x 5.75”) slots that are also self-centering and can easily accommodate a wide variety of breaded items, such as English muffins, bagels, buns, and thick slices of homemade bread. There are also several different setting options to allow you the freedom to choose the best setting for your needs. For example, you may seek to use the bagel mode for warming the outside of the bagel while gently toasting the cut side. You can even set about using the defrost mode to toast certain items such as frozen waffles or pancakes, toaster pastries, or even toaster hash browns! There is also the super convenient reheat mode which allows you the ability to warm your food up free of having to actually toast it! And of course, there is also the cancel function which permits you the opportunity to end the toasting session whenever you choose. Simply turn the knob to select one of the six browning settings, from light to dark and you are all set to go! Some other awesome features of the KRUPS Breakfast Set 2.Slot Toaster is that it includes a high-lift lever for smaller items, blue LED indicators, two removable crumb trays for easy cleaning, and super convenient cord storage to assist in keeping your countertop looking organized. KRUPS is a super popular, trusted brand in terms of kitchen appliances. However, even the most trusted brands can often come with their flaws. One of the most notable complaints about this toaster is that it has a “cheap” vibe to it. There were even a few instances of the plastic handle breaking off after only a few times of use, which is certainly a downgrade. Though KRUPS most certainly has an exceptional return policy, depending on how often you plan on using this toaster, you may want to be sure that you handle it with care! The Black & Decker 2-Slice Toaster is an astoundingly good toaster, especially for the price. It is a simple appliance with no unneeded gadgets. It is a surprisingly compact toaster that boasts some awesome toasting power and even has the full capability to toast bagels and English muffins with complete ease. Some of the helpful features are that this 850-watt 2-slice toaster comes packed with self-centering, extra-wide slots and a convenient browning-control knob to better select the shade of your bread from light to dark as desired. It additionally offers simple and easy to use push-button controls for options such as frozen, bagel, and cancel and all of them come complete with handy indicator lights. Not to mention that it also comes with cord storage as well as a slide-out crumb tray to better ensure quick and accurate cleanup with the utmost ease. While there are a ton of toasters, even top of the line ones, of which have been noted to not be entirely capable of evenly toasting bread and some have even been noted to have bread that come out with burned edges, this simple Black and Decker surprises the user as to how well and even it performs. For the overall price and simplicity of this little guy, you really can’t go wrong if you are in the market for just a simple, working toaster that does its job. And, if all else fails, Black and Decker boasts an awesome return policy. KitchenAid is literally one of the most sought after kitchen appliance brands in the world. And with the KitchenAid 4-Slice Long Slot Toaster with High Lift Lever, you will truly find yourself making a statement on your kitchen counter. This 4-Slice toaster can easily accommodate a wide variety of shapes and sizes of bagels, English muffins and bread. It also features 7 different shade settings, including specific settings for bagel, defrost, reheat and even keep warm. The high lift lever is incredibly convenient for removing smaller slices of bread or to check on the overall toasting progress at any time you feel necessary. While KitchenAid is of course a super reliable brand, when it comes to this toaster there have been several complaints of the toaster being incredibly inconsistent. Many have stated that their toast comes out very unevenly toasted and even is released with black edges on the lowest setting. So with keeping that in mind, if you are looking for a toaster that evenly toasts your bread free of burning the edges, this may not be the best fit for you. Particularly for the price. Moms rejoice! The Proctor Silex Cool-Touch Toaster will give you peace of mind when you have to turn back for a moment in the kitchen and having little one’s reaching on the counter. Proctor Silex toaster products are highly trusted kitchen appliances regarded as being suitable for durable and reliable performance. And have often been noted to being more than capable of delivering faster, easier, and more effective overall toasting. The Proctor Silex Cool Touch Toaster is said to be really practical and hard-working, and also boasts a nicely compact and stylish design that truly does look great on your kitchen countertop. It offers several super handy features such as a toast boost, cool touch exterior, cancel button, automatic shutoff, and even a removable crumb tray for easy clean-up all of which is sure to save you a ton of time and energy in the kitchen. This toaster may not be the most fancy looking, it is pretty simple. However, if are in the market for a toaster that just does a great job for the money, this is a great choice. The outside of the toaster is comprised of a unique insulating plastic and is very light in weight. This, of course, allows you the freedom to move the toaster on your counter without burning your hand. As with the vast majority of toasters, you can set the temperature dial to the setting that you want and push down the load lever to toast your food. However, one great feature about this toaster is that if it is unplugged, your bread won't stay down. Once it starts toasting a red light comes on to tell you that it is cooking, and the red light also doubles as a convenient eject button. One thing that has been noted is that the toaster does not eject your bread very well. While this may prove a bit inconvenient, it is actually for good reason, to keep your food hotter for longer. There have been some not so good reviews about this toaster. Several have stated that the tops burn easily while the bottoms do not and that the slots are simply not large enough to accommodate bigger slices of bread such as bagels. So while there are of course some downfalls to this toaster, for the price it can be a hit or miss depending upon your needs and desires. The Oster Jelly Bean 2-Slice Toaster is super cute and comes in both vibrant purple or elegant black. Both colors are metallically shiny, so if you are in the market for something a bit more reserved, this probably isn’t the best toaster for you. It is equipped to toast bread, bagels and other types of bread to your liking. According to Oster, is provides advanced toasting technology along with various settings from light to dark and will give you consistent results each and every time. The toaster does, in fact, boast extra-wide, long slots that accommodate a variety of different foods. And is has seven conveniently adjustable settings including a Bagel option which adjusts the toasting time according to the thickness of the bread as well as dual auto-adjusting bread guides to adjust bread thickness for completely even toasting. According to countless reviews, this toaster has been noted to be way too small and that even standard sized bread-sticks up almost an inch out of the toaster, and needs to be flipped over halfway through the toasting session in order to get the bread fully toasted. There have also been some complaints that the bread burns easily, even on lower settings. It seems as if this toaster is aimed specifically for bagels or English muffins, so if you are planning on toasting larger pieces of bread often, this one may not be a good fit for your needs. With its super sleek, vintage design and multiple functions, the Bella Linea 2-Slice Toaster with Extra Wide Slot will most certainly add some trusted utility and spice to your kitchen. It is crafted from a highly durable stainless steel and comes fully equipped with extra-wide slots that provide self-centering guides of which will fully ensure that bread of any size will come out evenly toasted. The high-lift lever also ensures for easy retrieval of smaller bread. Not to mention that with the slide-out crumb tray and convenient cord storage, you can be sure that cleanup is a breeze. Besides looks, the best feature about this toaster is that it really does make perfectly even toasted bread. You can easily fit two slices of bread in each slot to make up to 4 pieces of toast at once. And, with the convenience of the adjustable settings, you can use different settings at one time depending on what you are toasting, such as setting 1 for toast and setting 3 for bagels. The price for this toaster is also unbeatable. Some people have noted that during the first time using the toaster it gives off a slight smell of burning plastic. However, after the first use that smells does go away. You may want to opt to toast the first slice of bread and toss it out. The toaster is also stainless steel and will smudge with fingerprints pretty easily but that's pretty much expected when it comes to dealing with stainless steel. All in all, this toaster really lives up to its expectations, and again, you can’t score a better deal for that price! Oster is a brand that has truly proved to be a reliable kitchen tool brand with regards to their ever advancing technology. This toaster, in particular, the Oster 4-Slice Toaster boasts an extra-wide set of slots of which can conveniently accommodate virtually anything from bagels and English muffins to thick slices of homemade bread and tea cakes. It also offers a dual auto-adjusting bread guide to adjust your toasting desires as needed, which ensures thorough toasting each and every time. The Oster 4-Slice Toaster even has two toast lifts that help to elevate smaller pieces of hot breads out of the slots for safer and significantly easier retrieval. And the crumb tray is completely removable for faster and much more convenient cleaning. With a brushed stainless-steel finish complete with a brushed knob and lever accent, this toaster is at the top of its game in the looks department as well. And, one really nice feature is that it provides a retractable cord which is great for storing or if you have little ones around. While this toaster really offers a lot of great features in terms of its service as well as looks, there are of course a few downsides that have been noted. One, in particular, is the fact that more than one person has stated that the Oster does not toast very evenly. If you are partial to have a toaster that toasts completely even on the first push of the lever, this one may annoy you as you will have to take the time to rotate whatever it is you are trying to toast. Be sure to also watch the settings as some have noted that their bread was burned on a setting as low as 3. But, that is pretty much the case with any brand new kitchen item. You should always be sure to slowly test out and get used to the item you have recently purchased. Overall, this toaster has way more benefits to boast about than not. Toasters greatly vary by size. Think about you particular needs for your toaster ask yourself the following: do you need to toast 2 slices of bread at a time or 4? Will you be toasting artisan bread or bagels? How much counter space is available? Once you better know, be sure to always check the interior and exterior dimensions on all models prior to purchasing. The great option of Keep Warm is perfect for those who are always rushing out the door. Certainly not a necessary feature, but definitely a very handy one! Most toasters that boast this option do have an automatic shut off for safety purposes, but always look into that prior to purchase. If you have trouble remember to grab your bagel on your way to drop the kids off at school or head into work, having a handy audible reminder may be a good option for you. Be sure to take into consideration what other reviews state about beeps and audible sounds, though, as many can be louder than expected. There are a ton of different models of toasters that have significantly different options of ease of overall cleaning. Some models permit the crumb tray to slide out only slightly while other models have a completely removable crumb tray to make cleanup much easier. These are some small details of which a lot of people tend to overlook. If you do not want your toaster smoking due to a significant amount of crumb build up at the bottom, this is something you will certainly want to consider. In terms of ease of use, you will also want to consider this. Are your toasting needs smaller and very basic? Or are you looking to purchase a toaster for an elderly relative who may struggle with too many options? If so, you will want to be sure to seek out a general, simple toaster that has a limited amount of options for overall ease of use. Shade control is a huge factor and can allow for better capability of your toaster being able to automatically adjust the temperature and the time to give you the perfect amount of desirable toasting. If you like your bread toasted in a specific way, this is something that you will most certainly want to keep in mind when investing in a toaster. Depending on your personal needs and desires, you may want to consider additional special features of which will allow you the freedom to select pre-programmed settings with the simple press of a button. While these extra features are most certainly nice, they are definitely not necessary features. Some will say the extra cost for these features is not worth it when you’re talking about just making toast. They might look amazing sitting on your counter, but the toast they make isn’t so great. A straightforward toaster with a couple of slots, an on/off switch and seven-setting browning selection is really all you need. This gets the main job done the best. Same is true for the automatic pop-up. This feature simply starts to cool your toast instead of the ideal of keeping it warm with the heat left over from the toasting cycle. Finally, we come to what is often the most important aspect to consider when it comes to investing in the best toasters on the market. You will, most certainly want to consider the toaster price that you are interested in purchasing. Sure it may have all the best features and comes from a top of the line brand name. But take heed and read the reviews of any toaster you are interested in, as all too often you will not exactly be getting what you are planning on paying for. It has often been noted that when it comes to toasters, just because you spend upwards of a hundred dollars on one, does not truly mean it is the best one available. In fact, much to the contrary, many have been found to note that the toaster they paid a minimal amount for actually works far better than one they invested a significant amount in. An inventor by the name of Albert Marsh create a nickel-chromium alloy that was able to be heated over an over using an electrical current. General Electric spent four years to make a toasting appliance that was suitable for home use. Later, in the mid 1920s, the Toastmaster company introduced the first pop-up toaster to the general market. Why is my toaster not toasting food evenly? If your toast is not evenly toasted, then it will need to be cleaned. Check our Q&A on how to clean your toaster for more information. Why does my toaster create an odor? The number one reason your toaster could have an odor can be due to the manufacturing process. During this process, the toaster may be still covered in dust that needs to be removed before you start toasting for the first time. While working for the first time, the toaster will heat up and burn the dust that may have accumulated. The odor you may notice is more than normal during this process. What does the bagel button do? This button is used to toast foods such as bagels or English muffins. These foods are thicker than regular bread and take longer to toast. When you use this feature, the toaster will adjust the toasting time for the appropriate food item being toasted. Which lighter/darker setting to choose? This feature allows you to choose how to toast, whether just light toasting or crunchy toasting. Make sure to select the lighter settings if you are toasting thin slices and remember that this setting will remain until you don’t change it manually. What does the frozen button do? The frozen button is a feature that is used for you to toast your frozen foods. In one simple step, this feature will automatically defrost your food and then toast it. On some toasters, this button is called the defrost button. What does the warm button do? The warm button is a feature that is used for warming foods that have already been toasted, but may have become cool. With this feature, your toaster will warm your food without toasting it any further. Are there different bread slot sizes to consider? Yes. 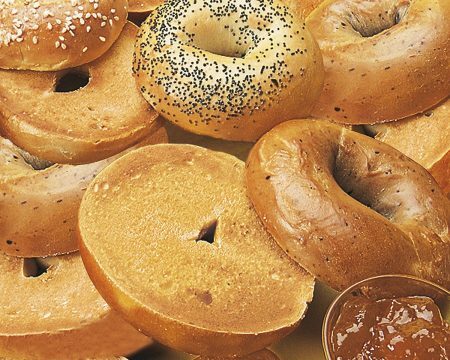 Because a bagel is a different width than regular bread, for example, you will want to make sure that the toaster that the toaster you choose has bread slot sizes that will accommodate a variety of different bread types and sizes. When selecting a toaster, you want to make sure that you can toast any of your foods; from frozen or club sandwiches. What is the purpose of the crumb tray? Most options now-a-days come with crumb trays which are are a great thing because they can be easily removed. Removal allows allows you to get rid of the crumbs stuck inside your toaster and the result of use over a longer period of time. What is the most durable and/or safest toaster housing material? Some people find that they are worried about safety when it comes to their toaster. If this is the case what you need to do is take into consideration toaster housing. Options made of metal metal generally retain heat. However options made of plastic or cool reach steel are likely to retain less heat and therefore are perfect for any family with young kids.